OKLAHOMA CITY (AP) — Utah Attorney General Sean Reyes has joined the governor of Kentucky and 10 other state attorneys general in signing a letter from the Oklahoma attorney general to California’s insurance commissioner, asking that he stop pressing insurance companies to publicly disclose fossil fuel investments and divest from the coal industry. This is one of two letters sent to California Insurance Commissioner Dave Jones – the second being sent from six other state insurance commissioners – saying Jones’ actions only confuse consumers and unnecessarily bring politics into the insurance market. Jones has said the investments may be risky due to a move from fossil fuels to renewable energy because of climate change. “Many of them are climate change deniers,” Jones said. 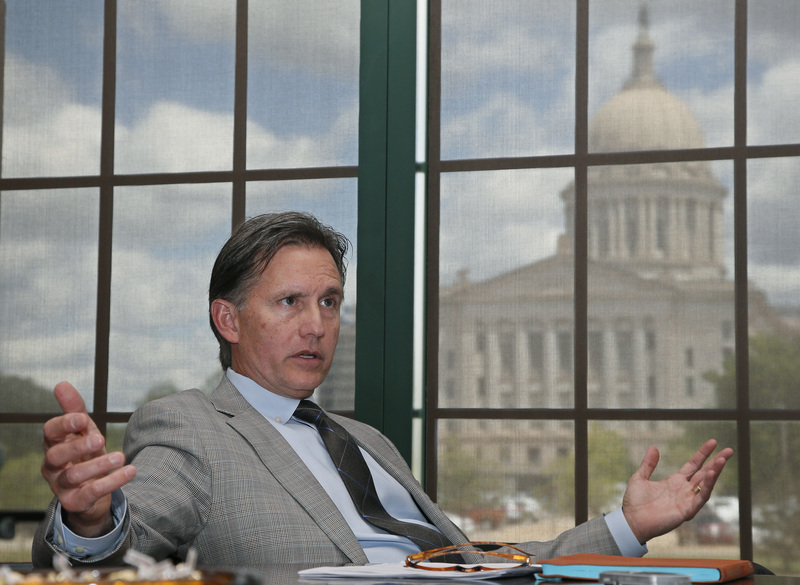 Nancy Kincaid, a spokeswoman for Jones, said his response also applies to a letter from Oklahoma Insurance Commissioner John Doak and signed by insurance commissioners in five other states. Hunter said he does not deny climate change and that Jones’ assertion about financial risk is wrong, threatens energy and insurance companies – including thousands of jobs in those industries – and violates the U.S. Constitution’s commerce clause. “He was trying to advance environmental policy at the expense of the companies he is tasked to regulate,” Hunter said. “The whole idea is wrong-headed,” according to Hunter, whose letter dated Monday says renewable energy companies may be a greater financial risk. “Nearly a hundred solar companies have failed or gone bankrupt in recent years,” Hunter wrote, mentioning Solyndra, SunEdison, SolarWorld and Suniva. Doak’s letter from the state insurance commissioners, dated Tuesday, said Jones’ concern over the potential risk of investments in coal is, at best, “mere speculation” and that coal will continue as a reliable and affordable energy source. Hunter said he’s considering filing a lawsuit if Jones doesn’t put a stop to his request. Jones said that threat will not stop him. “For those climate denying politicians … I will happily defend my obligation as California’s Insurance Commissioner to make sure insurers are addressing climate change related risks and to protect California consumers,” Jones said in a statement. Jones’ directive was announced in January 2016. But Hunter said he learned of it earlier this month from Doak and that the two have discussed the issue since then before writing the letters. Doak spokeswoman Kelly Dexter said she did not know when Doak learned of Jones’ directive and that Doak is out of the country and unavailable for comment. Doak’s letter is signed by the insurance commissioners in Alabama, Indiana, Kentucky, Montana and North Dakota. Hunter’s letter is signed by Kentucky Gov. Bevin and attorneys general in Alabama, Arkansas, Indiana, Louisiana, Missouri, Montana, North Dakota, Texas, Utah, West Virginia and Wyoming. Hunter spokeswoman Terri Watkins said Hunter consulted with energy and insurance officials about the impact of Jones’ request but that the letter is his own. Written by KEN MILLER, Associated Press. KATHLEEN RONAYNE contributed from Sacramento, California.